 Vital Xposure is a registered charity and a company limited by guarantee. We engage in a range of artistic activities, but predominantly create bold, dynamic theatrical performances for the public. – Information about your use of our site and engagement with our newsletter including details of your visits such as pages viewed and the resources that you access. Such information includes traffic data, location data and other communication data. This information does not identify you in anyway. – Information provided voluntarily by you. For example, when you register for information, make a purchase or communicate with us by any means. You can unsubscribe from our newsletter at any time by clicking the unsubscribe link at the bottom of any of our emails or by emailing intouch@vitalxposure.co.uk. As a production company creating artistic work for the public, keeping people informed about what we do is an essential aspect of our work. The majority of our contact with you will be to let you know about our activities but we may also tell you how you can support us, for example with a donation. We are a National Portfolio Organisation funded by Arts Council, England. Subject to your prior consent, we share information gained from ticket purchases and any surveys you complete with Arts Council, England. – Where we are legally required by law to disclose your personal information. – To further fraud protection and reduce the risk of fraud. You have the right to request a copy of the information that we hold about you. We can also tell you what information MailChimp holds about you on our behalf. If you would like a copy of some or all of your personal information held by us, please email intouch@vitalxposure.co.uk or write to us at Empire 2, 291 Mare Street, London E81EJ.